That is all really interesting! Changing some cycle parking for Motorcycle parking would be cool and I have to say, your work is top notch again. I really REALLY appreciate the detail you are going into. I know it must be gritting to start the park but I will be as patient as a rock watching if it means the quality is this good. Every single thing you do blows me away. LED lighting is also used in the Netherlands. especially along bicycle paths. They are now also testing whether the lighting can be switched off if there is no cycling traffic. These are bicycle paths between two cities. As an American, I have trouble imagining separate cities close enough together ride bikes between them, yet far enough apart to have open rural space across which a special bike path has to be built . Over here, either we have contiguous urban sprawl were you can't tell where one city ends and the next begins, or they're separated by more distance than you can pedal across and still have time left in the day to do anything at your destination other than sleep. Green lighting is sometimes also installed in rural areas. This ensures that Flora en Fauna does not suffer from the harsh white light. I have heard of experiments here with green LEDs, too, although it's not really become a thing yet. Thanks for the nice comment . 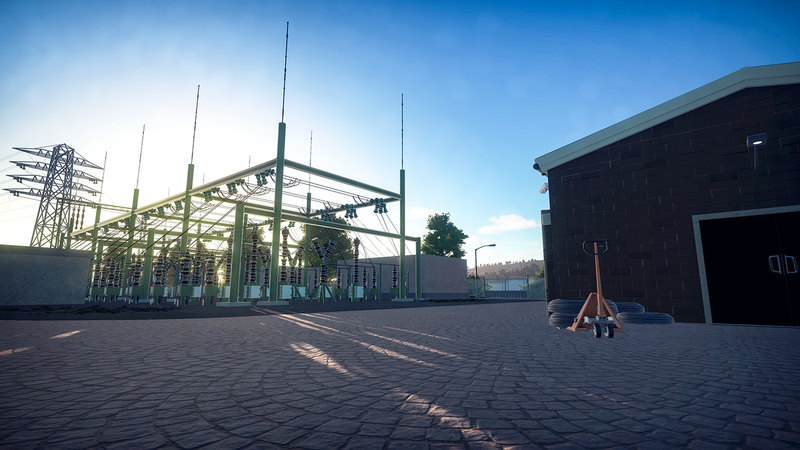 I have adapted the cycle parking to a motorcycle/ scooter parking. I would also like to work on the park myself. The end is now in sight. I just have to build the parking lot. I believe that it is confusing that the distances are so close together. The distances between my hometown and surrounding cities are about 15 km - 9 miles. On average, the Dutch travel about 42 minutes to work. How many minutes do the Americans travel about a day? In the Netherlands sometimes I see green lighting. But that is not applied everywhere. 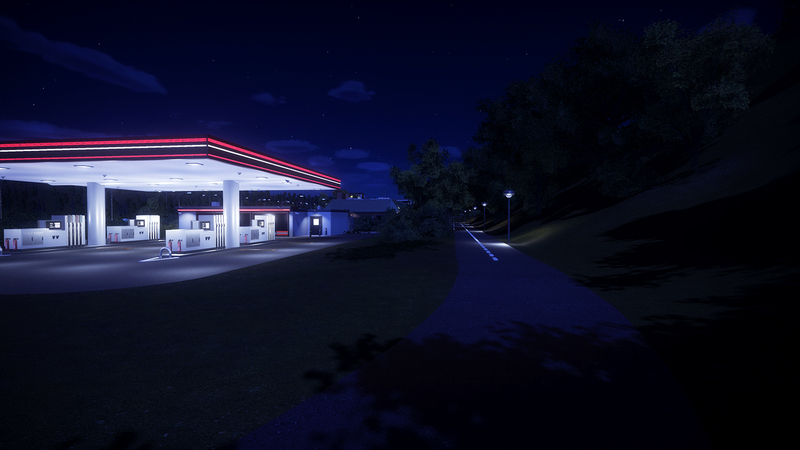 In Planet Coaster I have adjusted the colors of the lighting. The lighting in the parking lot has now been given a warm-white color. 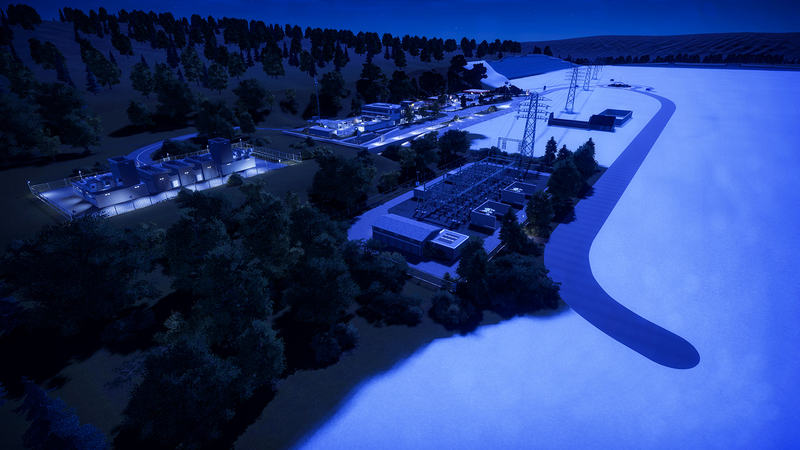 And the lighting of the roads has now got a blue-white color. 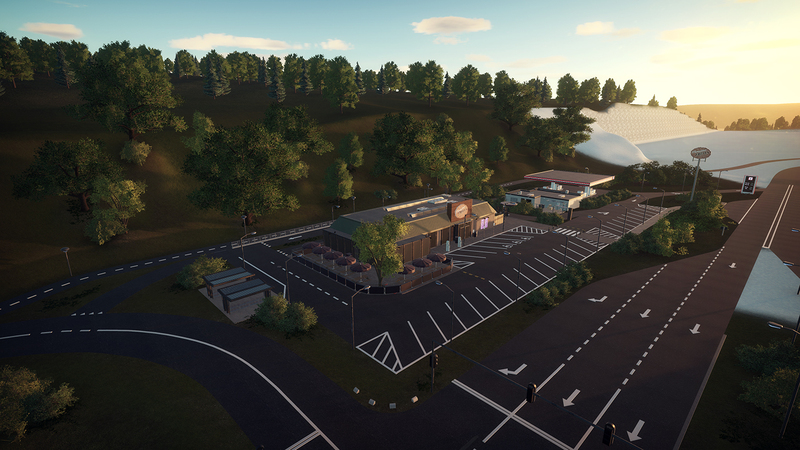 This is a very ambitious project, and I sincerely hope you don't burn out before you get to build the actual amusement park :-) That said, I adore all the details and the careful planning of your layout. Thank you guys for your nice comments . So far I havent had a burn out during construction . But I think this is also because I have been searching a lot for information. The largest part outside the park is now finished. 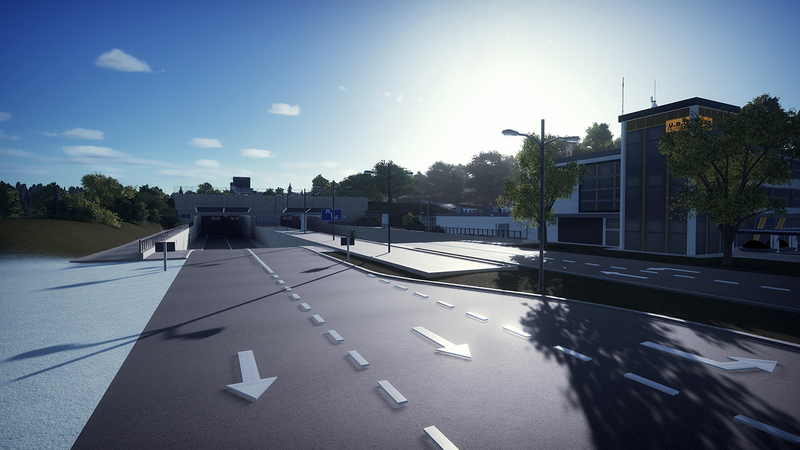 I'm now working on the bus station and the parking lot. I think the parking places are a tedious job. 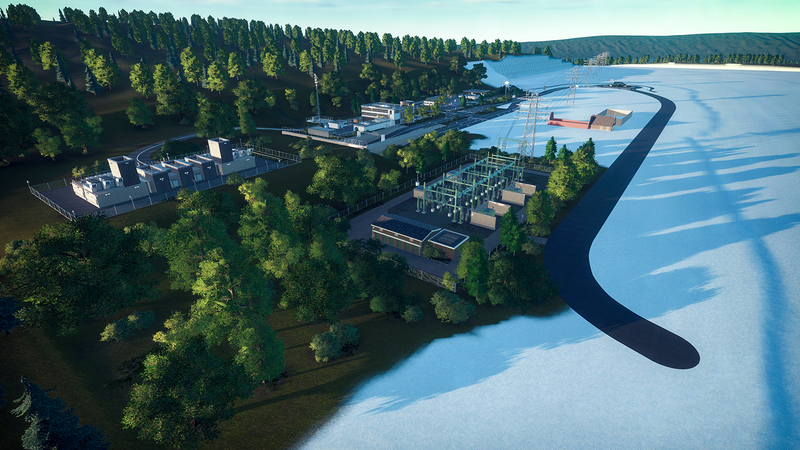 I think that infrastructure for the park is very important. And it is a pity that this is not in the game. 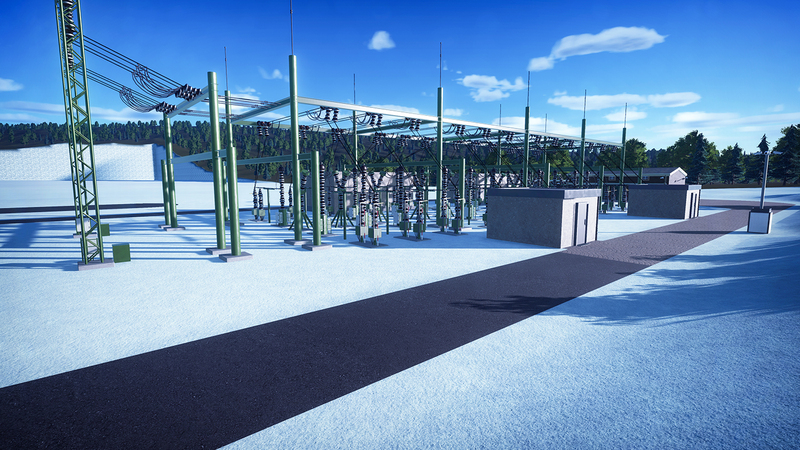 I notice that many more people are now working on an infrastructure for their park. 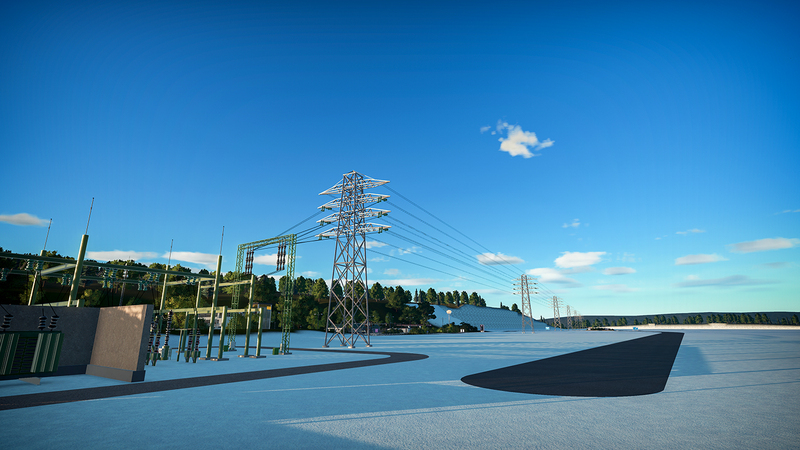 I must confess that since I play Planet Coaster I also learn more about infrastructure and amusement park itself . I also find it very interesting to know how it is regulated in America. And the differences between the Netherlands and America. Every update I am leaning forward waiting to see what you are going to do with the park. 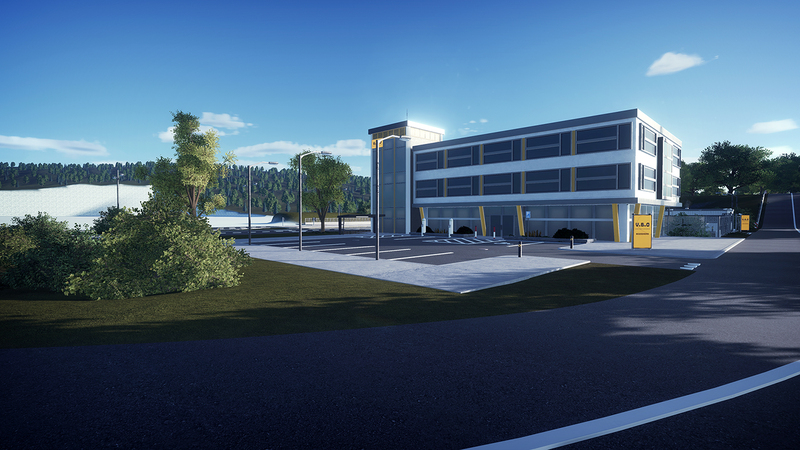 I am loving the administrative buildings and streets, but I am sure you are going to nail the theme park aspect. I am a slow builder as well, so I totally understand. Thank you for the nice comment. I now actually wait for the "Theme Maker's Toolkit" before I actually go on with the park again, or I start over with it. But I don't know yet. I am certainly a slow builder but also perfectionistic. 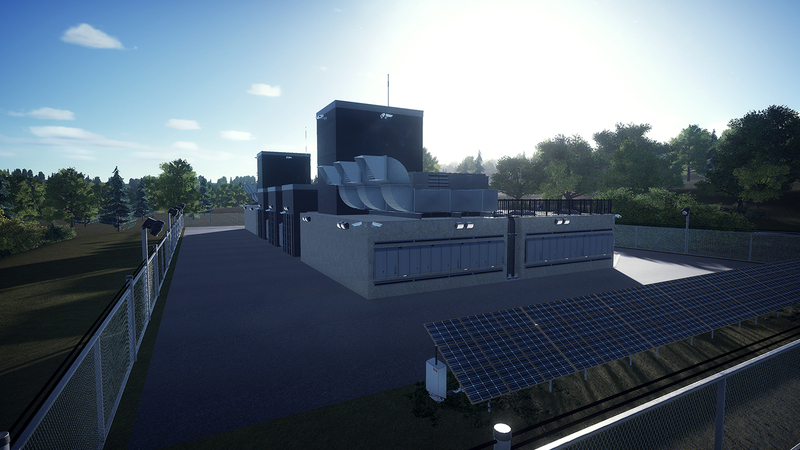 Since the TMTK update, I have restarted my park. 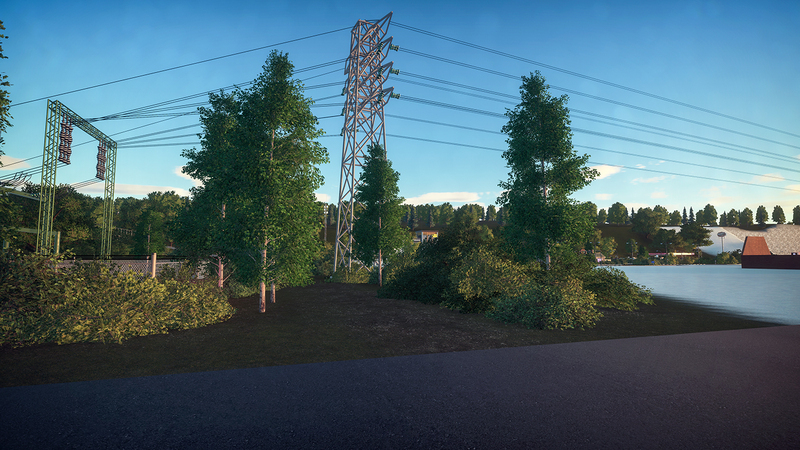 Now I also use TMTK objects for my park. Due to my absence here on the website I place a number of photos of what I have built so far. This is the last video I posted on YouTube. It's just remarkable how realistic those screenshots look. Excellent work as always. 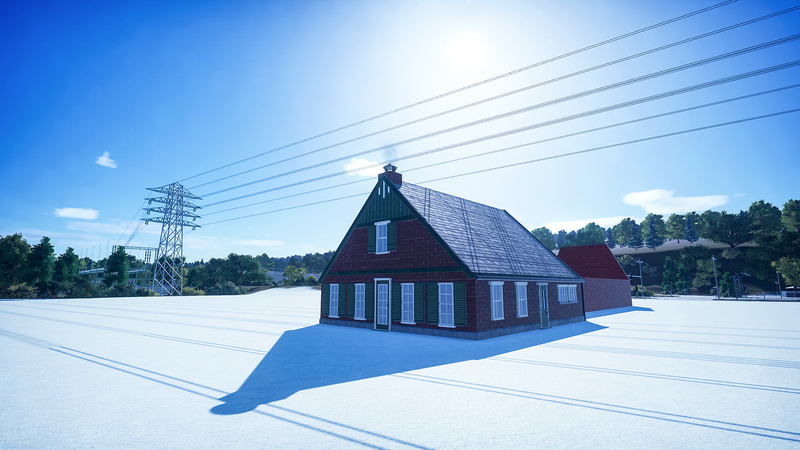 I also started a farmhouse. 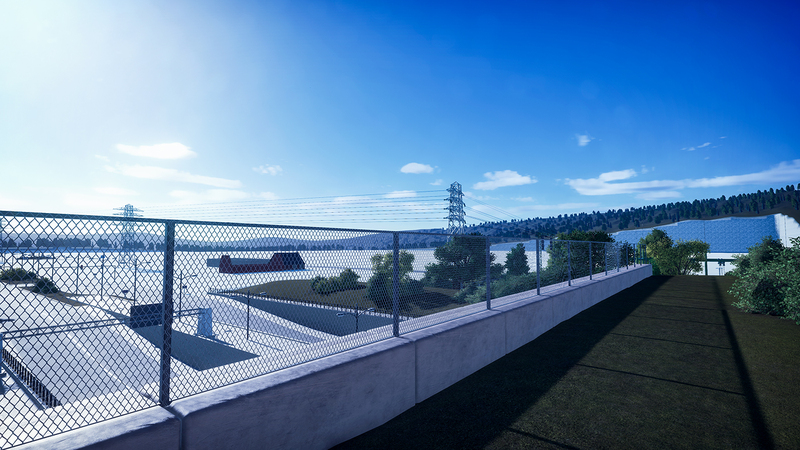 The entire area between the substation and roundabout becomes a farming area.